Tech stocks are poised for another rough day with an exchange-traded fund tracking the Nasdaq 100 Index down more than 1 percent in early trading before the market opens, adding to Monday's 3.3 percent plunge. As the sell-off drags on - and contagion spreads - the toll on some of the most popular stocks is mounting. Companies that just months ago saw their stocks set records have since lost hundreds of billions of dollars in market value amid investor concerns that the best days of growth are in the past. Apple Inc. and Amazon.com Inc., accustomed to being market leaders, have found themselves the laggards. 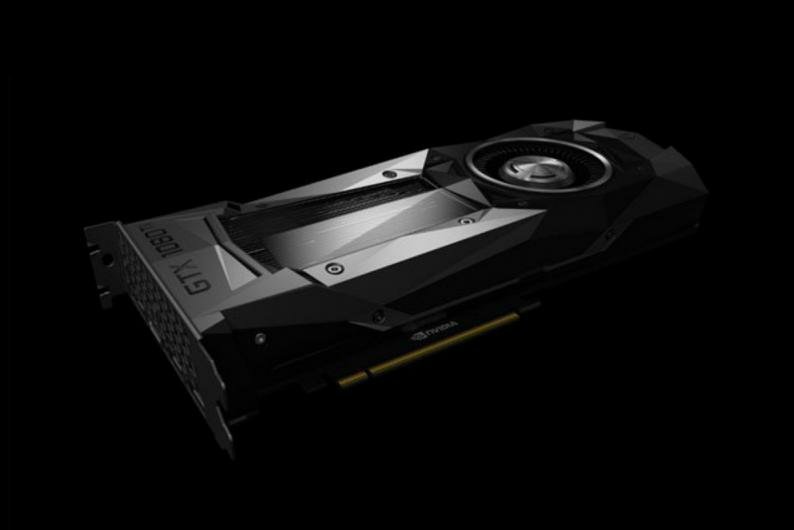 Nvidia Corp. is worth half as much as it was at the start of last month after a dismal sales forecast last week. Facebook Inc., mired in controversy over the way it's handled misinformation and data privacy on its platform, has tumbled 40 percent since the summer. Adding to woes early in Tuesday's trading are analysts at Baird and Goldman Sachs slashing outlooks on two of the Street's favorite stocks - Micron Technology Inc. and Apple. The former was hit with a two-notch downgrade over the outlook for memory pricing and gross margin, while the latter had its price target for the second time in as many weeks. Goldman cited weak demand for products in China and emerging markets, further adding to the growth narrative concerns. 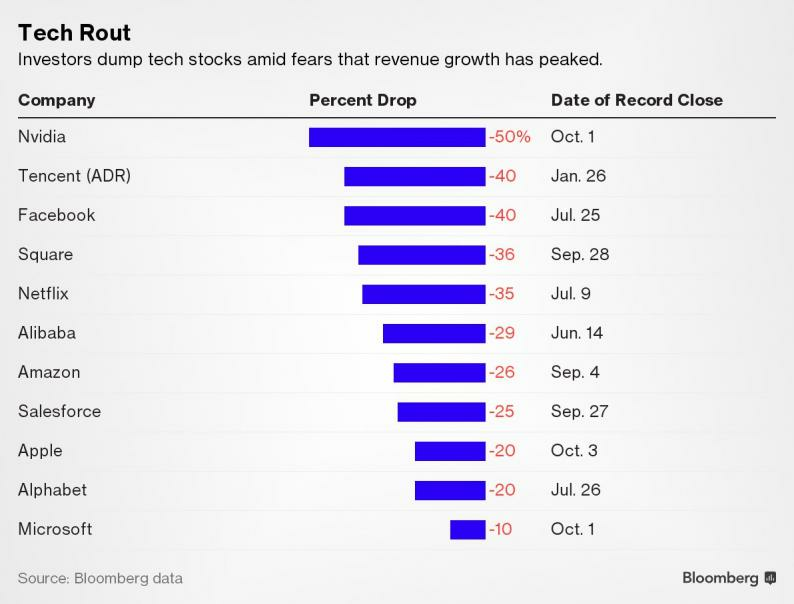 The so-called FAANG stocks have been among the hardest hit in the recent rout after leading the market for much of the year.